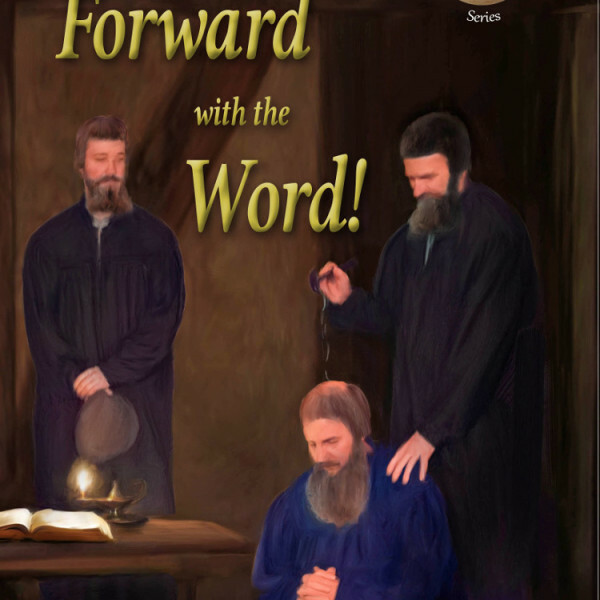 Home » Shop » Church History » Anabaptists » Early Anabaptists » March Forward with the Word! In the midst of tall castles, warring pikemen, dreadful plagues, church decay, and the superstition and darkness of sixteenth-century Europe, the Anabaptist revival burst into flames. One of the first leaders was a partying university dropout who met Christ and was transformed into a fiery preacher, confronting and challenging the greatest reformers of the day. Follow Conrad Grebel as he follows Christ! How did Conrad Grebel, a Swiss university student/party-boy, unintentionally become a founder of the Anabaptist movement? 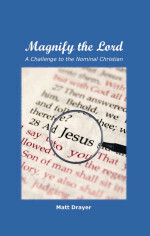 This book, intended for teens through adults, answers that question and illustrates what happens when Jesus Christ grips the heart of a young man. 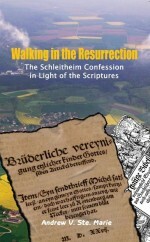 Young people will find this readable book historically informative, soul-stirring, and age-appropriate. I was blessed by the life of Conrad Grebel. 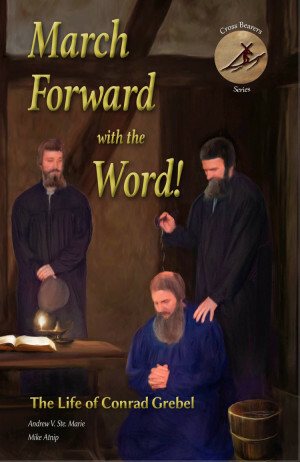 I would definitely recommend March Forward with the Word to my friends. I was inspired and challenged. NOTE: This title is also available as a PDF ebook. Click here to purchase. Category: Early Anabaptists, Biographies. Tags: Andrew V. Ste. Marie, Cross Bearers Series, Conrad Grebel, Sermon on the Mount Publishing books.